Samsung Galaxy Note II offers you the possibility to beam videos, photos, video games or presentations to a HDTV. The application which will do it for your Galaxy Note II is The AllShare Cast. 1. First, you will have to connect the travel charger to the power socket on the ALLShare Cast Dongle. Wait three, four seconds for the status indicator to turn red. 2. Now, you will connect an HDMI cable to the application and also to your HDTV. 3. Now, you will have to match the input port used by HMDI cable with the source input on your HDTV. 4. You will have to wait for 30 seconds for the status indicator to blink red. You will press the Reset button and your status indicator will turn blue. 5. After that, you will access Menu, Settings, More settings and AllShare Cast. 6. 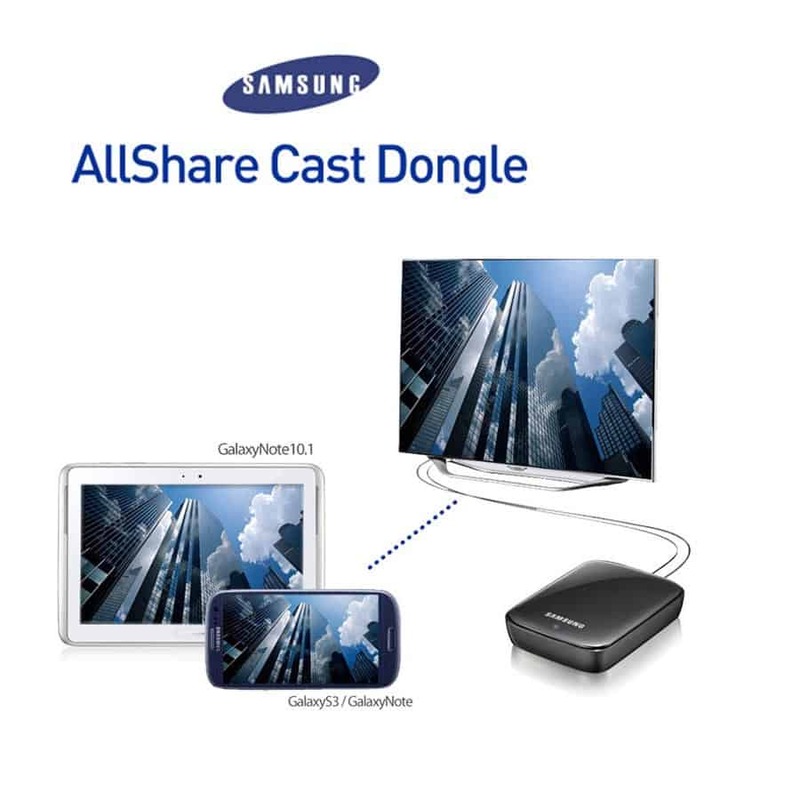 You will select the AllShare Cast Dongle from the list and you will find its name on the HDTV. 7. The connection has made now and your Galaxy Note II screen will be shared automatically to your HDTV. Keep in mind that the AllShare Cast icon should be shown to the top of your screen if your connection was successful. Also, remember that you can pair only one device with the hub. If you want to connect another one at the same time, you will need to hold the Reset button and wait for the red light of the Status indicator.